Also known as Toad Beetroot, this variety is the oldest still in existence (estimated at 1000 years!). Crapaudine translates as female toad in french. Its not surprising then, that the skin is very rough and cracked, almost like tree bark. 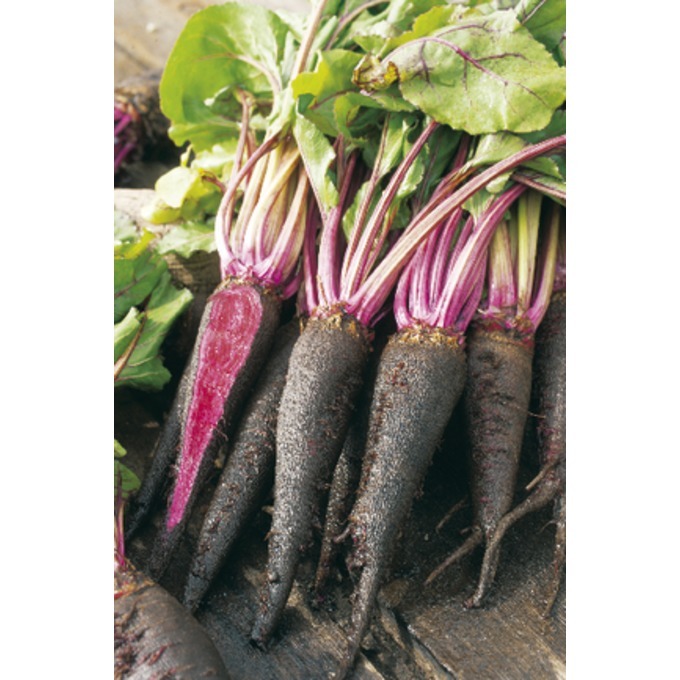 The carrot-shaped roots are extremely sweet and very dark, almost black in colour and the stalks are red tinged and are great in salads. Renowned for its superior flavour, Rouge Crapaudine is sought after by chefs around the globe. Dobies are proud to offer you the chance to grow this exquisite heritage favourite. 100 seeds.